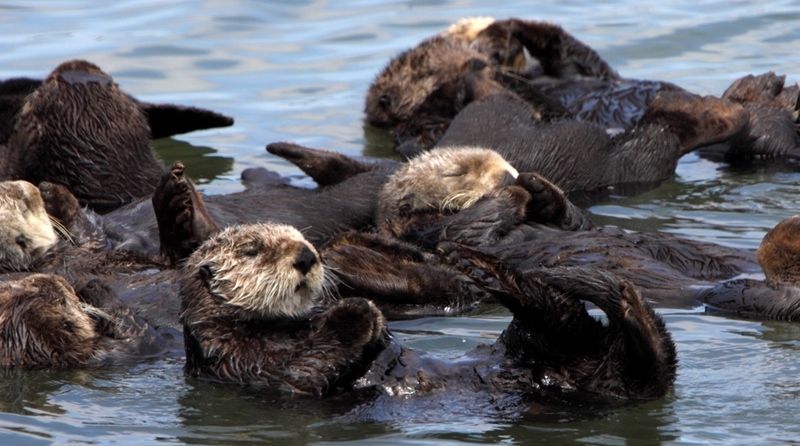 Sea otters play a critical role in the health of coastal ecosystems. But we’re not seeing all the benefits because their numbers have yet to recover from the impact of the fur trade that ended more than a century ago. Now there’s a new tool to aid in sea otter recovery: a first-ever sequencing of the sea otter genome. Annabel Beichman, a PhD student in UCLA’s Department of Ecology and Evolutionary Biology is leading the effort and shares the progress – and the Monterey Bay Aquarium’s key role in the project. Large sea otter populations once ranged from Northern Japan all the way around the Northern Pacific Rim to Baja California. 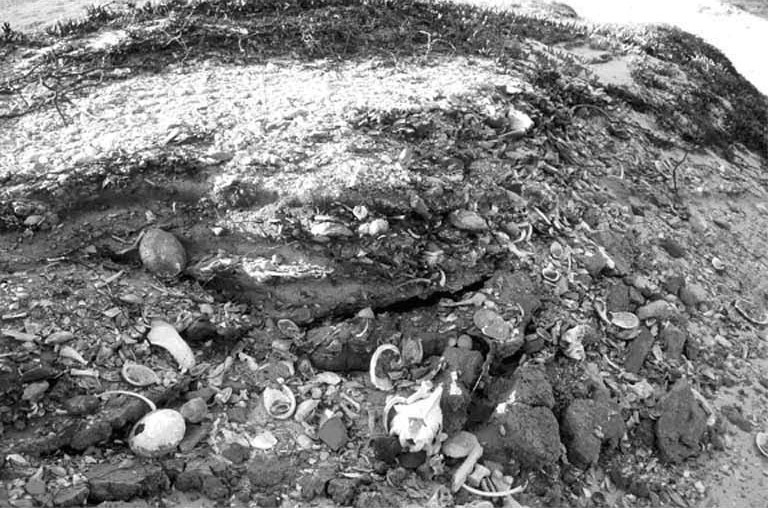 All that changed starting in 1741 when the Bering Expedition shipwrecked in the Commander Islands. 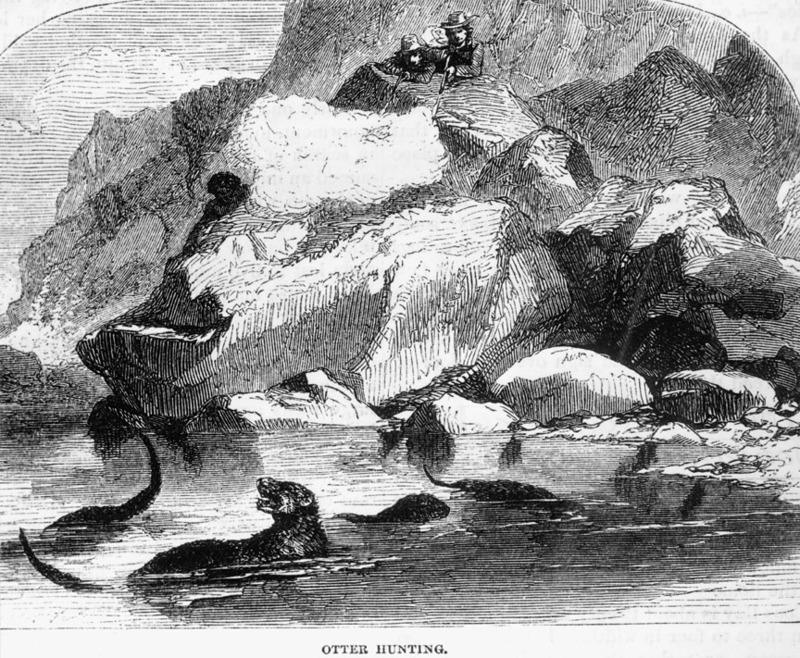 Vitus Bering and most of the crew perished, but a handful of survivors returned to Russia, bringing with them sea otter pelts and stories of abundant sea otter and fur seal populations to the northeast. This spurred a mad rush to obtain sea otter pelts that drove sea otter populations nearly to extinction by the end of the 19th century. In 1911 sea otters were protected by the International Fur Seal Treaty. But for many of the small, isolated populations that remained it was already too late. They were down to fewer than 100 individuals in each fragmented pocket, and in many cases – in British Columbia, Canada and Baja California – they vanished over time. In the Kuril Islands, Kamchatka Peninsula, Aleutian Islands, South-Central Alaska and California, however, the small remaining populations began to grow. Several returned to their historical population sizes over the course of the 20th century. In California, the population has recovered more slowly, to around 3,000 adults and dependent pups – well below the level that existed before the fur trade. Decimation of sea otters led to what’s known as a “population bottleneck”. This occurs when a population experiences an extreme decline to a very small size, followed by a re-expansion. A handful of individuals emerge on the other side of the bottleneck and all future members of the population are the descendants of that lucky handful. The bottleneck can have long-lasting genetic consequences, because the population has lost much of the genetic diversity that once existed and is subject to harmful genetic mutations that can become commonplace in the population. These mutations can impact individuals’ ability to withstand disease, reproduce or survive into adulthood. Today, society is in the middle of a revolution in genome sequencing (the sequencing of all the DNA building blocks that make up an individual’s entire genetic code: the unique blueprint that makes them what they are). Sequencing an entire genome used to be an impossible feat, and then impossibly costly. Now, thanks to major advances in technology, it’s possible to map the genetic profile of any organism, at a relatively modest cost. The first blood sample will come from a Monterey Bay Aquarium exhibit otter. Photo courtesy USGS. We’re thrilled that the first sea otter genome will come from an animal that you can visit – a living reminder of the way in which genomics and conservation biology can come together to provide new insights into a remarkable species. This first genome will provide a template for the sequencing of an additional 60 genomes from across the sea otter range. Sequencing and assembling the first genome for a species represents a huge technical and computational effort. Once it’s complete, sequencing genomes from additional individuals is straightforward. Genes from 60 individual sea otters will be sequenced as part of the project. Photo © Jim Capwell. The first genome (known as the “reference” genome) has to be sequenced very deeply (many overlapping sequences of each part of the genome), before we use complex computer algorithms to assemble the sequences into one big genome. Subsequent genome sequences can be “mapped” to the reference template, rather than having to be assembled from scratch each time. A single genome by itself provides a lot of information about a species’ evolution. To understand more about past population size changes, specific adaptations, or levels of harmful genetic variation in the genome, you need many more individuals’ genomes. That’s why, once we have the reference genome assembled, we’ll be sequencing the genomes of 10 individuals from each of six remnant populations. This huge dataset will let us look for special adaptations that allow sea otters to live in the marine environment. Genome sequencing will also tell us how sea otter populations have changed in size through time, and will let us understand how the fur trade population bottleneck has affected modern sea otters’ genomes. 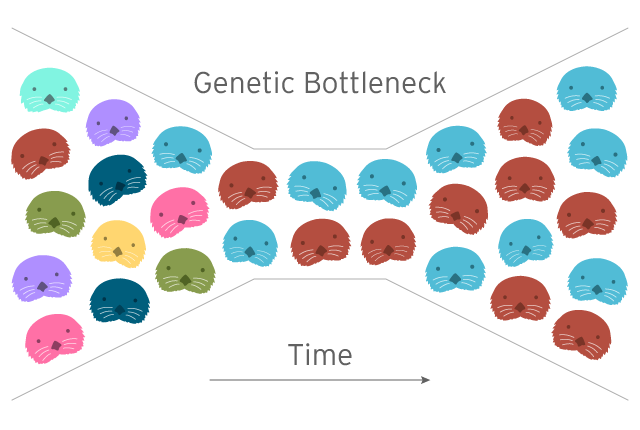 We aren’t going to stop at merely sequencing modern genomes from living sea otters. Recently, there have been major developments in sequencing “ancient DNA” – DNA from individuals that died long ago. For example, scientists have sequenced a Neanderthal genome and the genome of an ancient horse that lived before horses were domesticated. Many other ancient genomes have been completed and others are on the way. Our lab will sequence genomes from pre-fur trade sea otter specimens recovered from Native American and First Nations midden sites, to compare sequences from before and after the bottleneck. This will let us directly compare how the abundance of harmful mutations has changed over time, and see whether modern otters have an increased burden of harmful mutations compared to their ancestors. Genome sequencing has practical applications to efforts to recover sea otter populations throughout their range – efforts to which Monterey Bay Aquarium researchers are contributing in significant ways. 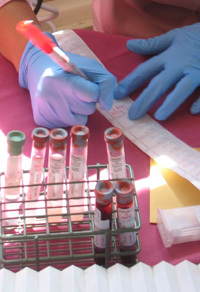 The genetic information will be incorporated into sea otter conservation plans – to identify populations that may be more vulnerable to disease and catastrophe because of past small population sizes and isolation, and to determine if populations would benefit from introduction of animals with different genetic profiles, perhaps from geographically distant sub-populations that don’t currently interbreed. Like all recovery efforts on behalf of sea otters, our work involves collaboration among many partners; in this case UCLA, UC Santa Cruz, the Smithsonian Conservation Biology Institute and the Monterey Bay Aquarium. We have sea otter experts, genomics experts and conservation genetics experts on board so that we can make the best use of this unprecedented level of genomic data from living sea otters and ancient populations. We have a lot to learn! We’ll share what we find as the project progresses. 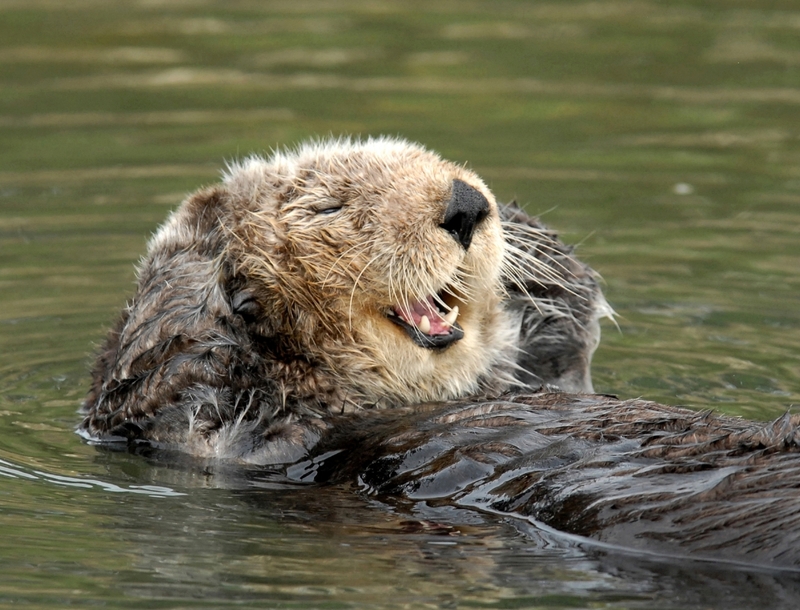 Learn more about the sea otter genome project. Fascinating, and well written and researched, article. I am particularly encouraged by the possibility of establishing new breeding populations of otters from different geographic areas, so as to improve the genetic diversity of future generations. This is incredibly important work, and very interesting as well. Way to go, Annabel and Team! Thank you for writing such a great article. It was so very well researched and in depth that I shared it to my Facebook wall and tagged my wife whom I knew would be very interested in reading it. I thoroughly enjoyed reading it. Great article…people need to know about the great information on this website. I found it by accident.